Pu-erh is traditionally ‘rinsed’ before being steeped. 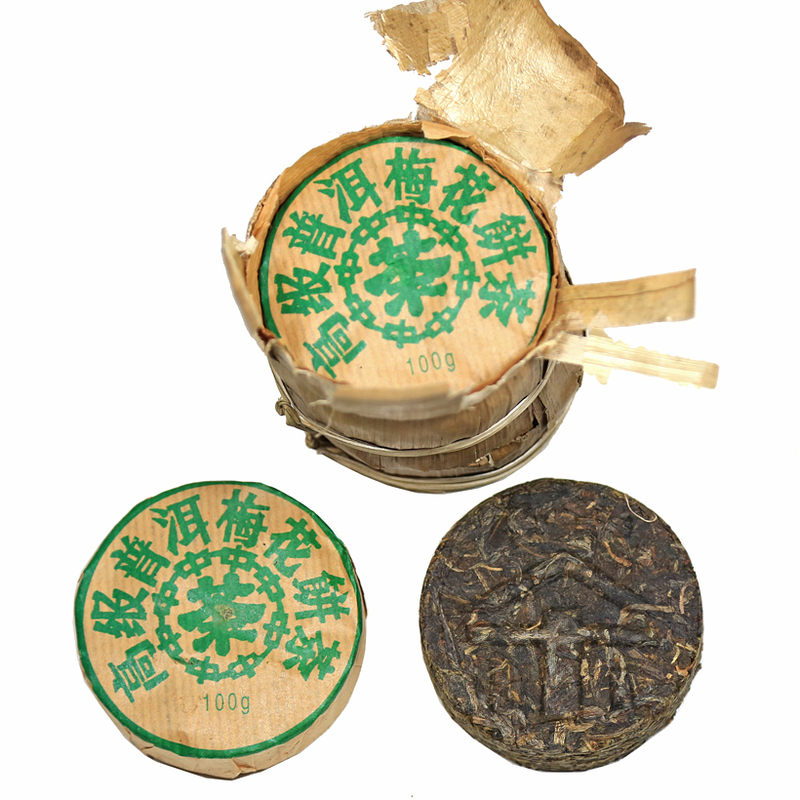 This exciting little tea cake was made in the Kokang region of the Shan State in northeast Myanmar (Burma) close to the border with the Pu-erh tea harvesting and producing regions of Yunnan Province. The raw materials in the cakes were plucked from wild-growing tea trees in an area of Kokang known for an abundance of wild growing tea trees. We bought these cakes for the unique experience they offer tea enthusiasts – it is not often one sees this type of tea coming out of Burma, and even less often that one has a chance to actually purchase one. The same is true for old wild-grown teas made in certain parts of Laos, Thailand and Vietnam. Of course, there are many who will argue that this is not true Pu-erh because the raw materials do not originate in Yunnan. We usually agree with such an argument, which really comes down to the root issue behind these dis-agreements and on which side of the discussion one stands. The issue is: what makes a certain tea that tea? Is the processing style the determining factor or is it unique factors that come into play in the place of origin? We side with place of origin the majority of times, but are making an exception here. To keep this from turning into a long discussion on that topic, let me just say why we consider this tea Pu-erh. Given the geography of the Yunnan / Myanmar border area, and that old, wild-arbor tea trees exist in both of these regions, we believe that if one were to look down on the earth from above and erase the geo-political borders between Myanmar and Yunnan one would see an expanse of forested mountains with similar terrain supporting a wide swath of old wild-growing tea trees stretching from Yunnan into Myanmar. The tea trees in Myanmar are true Camellia sinensis species and the raw materials have much in common with the raw materials from Yunnan. The ethnic groups inhabiting this area are the same groups as live across the border in China, so they share cultures, food preferences, and of course, tea preferences. Considering that only about 40-miles separates the Myanmar wild tea trees from some of the Yunnan wild tea trees, and that the local people share a common history, we go with the feeling that, yes, this beeng cha can be called Pu-erh. To clarify, would we consider a fermented tea to be Pu-erh that was produced in say, India or Africa? No, we would not. Nor would we sell it. The processing of this tea is very well done by traditional, village methods. The fragrance is high and floral – the cake is referred to as having mei hua ( plum flower) aroma. The body is surprisingly smooth and thick in the mouth and the taste is powerful. Expect many infusions from this Pu-erh. Pop some of this tea on a tea snob friend in a blind-tasting and see if they can guess the origin.